This version is out of date! We strongly recommend using the latest version, 2.0.2. 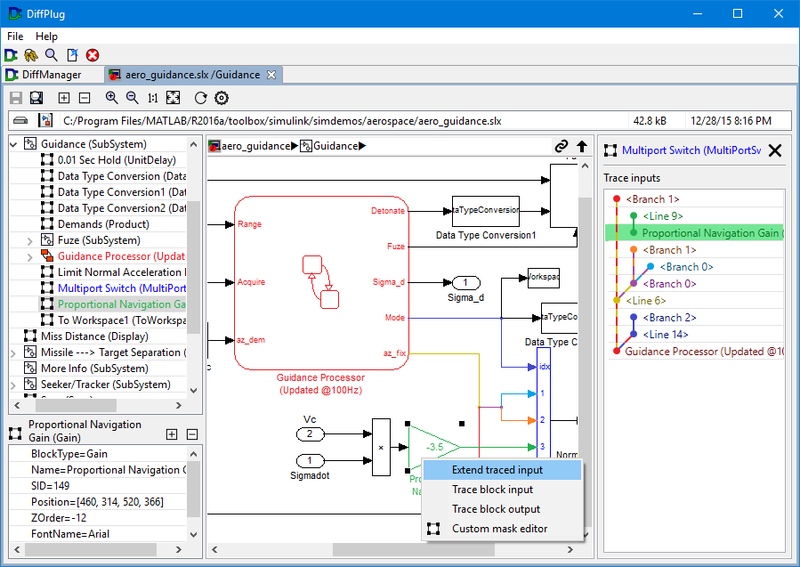 New Simulink tracing gui. Extending traces is now included in the free version (it was previously tied to the Simulink differ). Simulink reports now show all nested systems of an added subsystem, rather than just the first added subsystem. Simulink HTML annotations are now displayed without noise from HTML tags. Fixed a bug involving windows path shortening (e.g. C:\LongPa~1\somefile.slx) when linking Simulink models to MATLAB. Simulink blocks with changed UserData are always included within diff reports.